The designers gave the models a hard time walking the runway to show the spring/summer collections. The shoes they had to wear often had eye-catching shapes and heights. 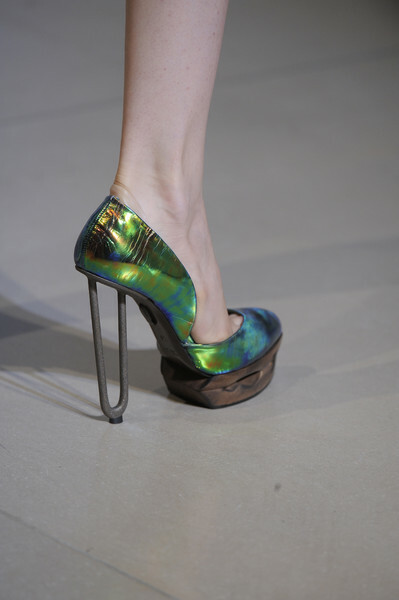 The shoes in the Jil Sander show had iron pins for heels. 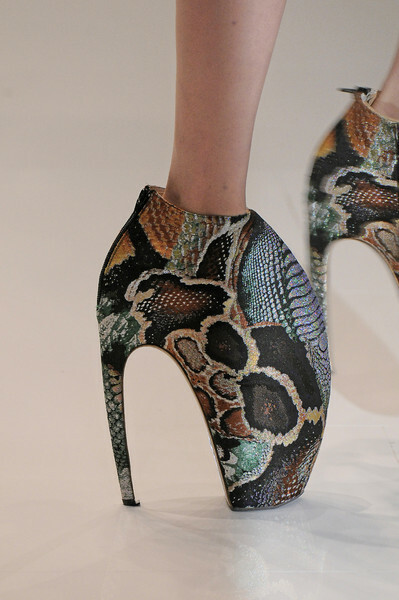 Donatella Versace used platform shoes. 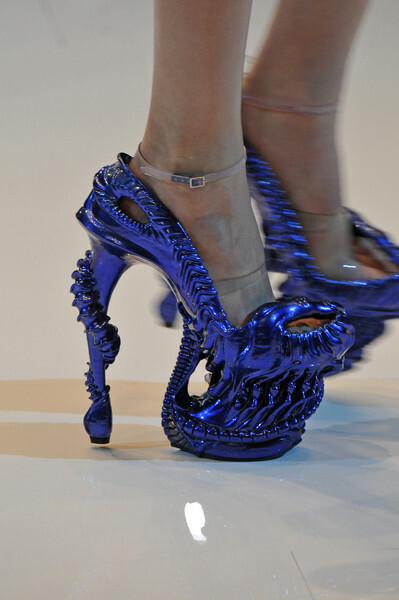 John Galliano’s shoes were extremely high and his stiletto heels seemed to be made of colored pearls. Chanel introduced a few clogs. Some models in the Dsquared show had spikes all over their shoes. Viktor & Rolf embellished theirs with pink flowers, Vivienne Westwood decorated hers with wings. 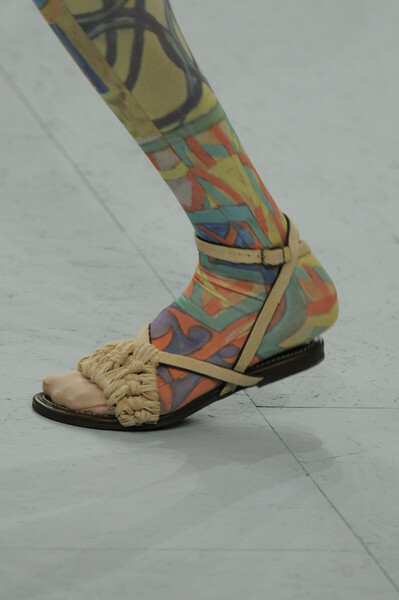 Matthew Williamson’s shoes had bows. 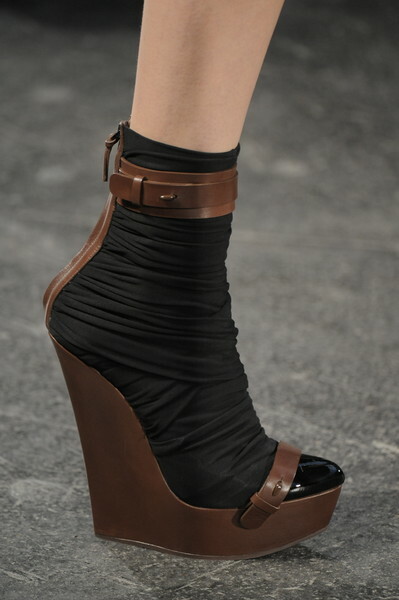 Next to the ultra high shoes we saw ultra-flat sandals (Issey Miyake, Anna Sui, Valentino, Lacoste, Etro, Armani, Chloe). 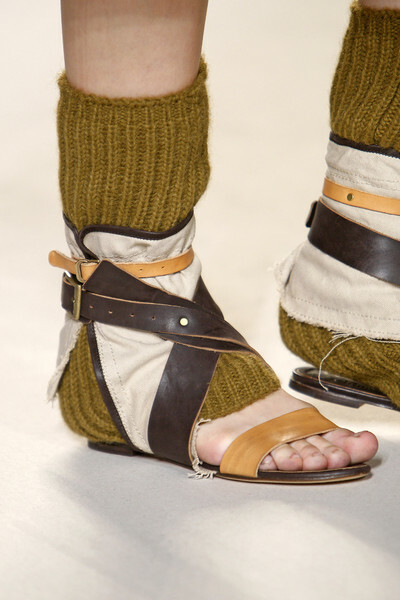 Those sandals, snake leather and wearing socks in open shoes seem to become the trends for this spring.